Get Ready for Women’s Bible Study!! I know so many of you have been anxiously awaiting the start of Tuesday Morning Women’s Bible Study so I’m happy to let you know that we are just about there!! September 16th is the day to mark your calendars and set your alarms to make sure you don’t miss Opening Day!! 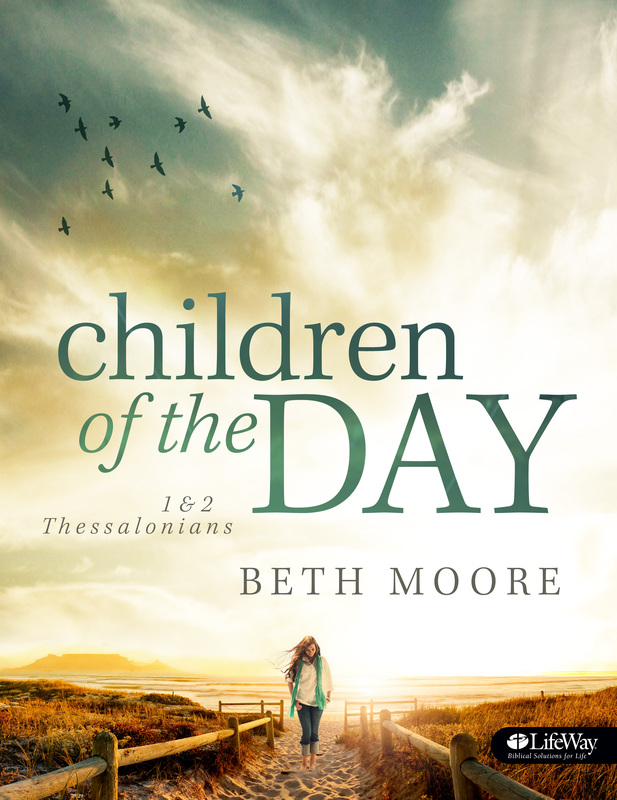 If you haven’t heard, we are studying 1 & 2 Thessalonians, a study called “Children of the Day” by Beth Moore. These two little Epistles written by Paul have so much for us to learn about things to come and how we are to live as we wait with anticipation for Christ’s return. I hope you come ready to dig into the Scriptures and with a great openness for change to take place in your life! I’ve experienced some life-change recently and realize it comes in many forms. Sometimes we are forced into it by circumstances, such as dropping my youngest child off at college. (Steve & I are officially in the Empty-nesting Stage) Sometimes it comes as a long awaited goal is reached like retirement or college graduation, or becoming a Grandma. Other times, it’s something we intentionally pursue for the purpose of growth or self-improvement. The greatest change I have ever experienced in my life is when I’ve come to God humbly asking Him to change me, to change the way I think, to change my focus and my perspective, my values, my heart!! God has never once failed to answer that prayer and studying His Word has played a huge part in that process. I hope we can all come with this prayer in our hearts and excitement in our minds for what God is going to do in our lives over the course of the nine weeks we have together. I so look forward to see all your familiar faces and I’m even more excited about the new faces you will be bringing with you!! It is my prayer and Beth Moore’s prayer that we ask God to show us who He wants us to bring with us. This is a great chance to invite someone from your OIKOS. I’m becoming more and more aware that there are many lonely women in our community, as we all pray and reach out, we can be-friend and bring them to a place where connection with God and each other happens. We will make sure that you and your friend will be seated together and do everything we can to make them feel welcome and comfortable. Registration is happening right now online at www.dscchurch.com/charis-bible-studies and will also be happening on the patio at DSCC between all services this weekend and next. I know this is very last minute, but we still have a few available rooms for Our Women’s Get-Away next week, September 11-13th. You can register for this online as well at www.dscchurch.com/getaway! This Get-Away is designed to help us Navigate Life. When I think of that, I often think of the course God has charted for me and the goals I personally want to reach for myself, but this is different. This is more about how we stay the course God has charted for us and yet learn how to deal with the obstacles in our way, the flawed thinking we need to change, the tools to equip us on how to handle the people and relationships we all live with along our journey. Our Pastor has been talking so much about us living intentionally, and this will help every one of us do that better! I hope and pray you can join us!! P.S. If you haven’t checked out Merlynn Bergen’s feature on the blog, click here!